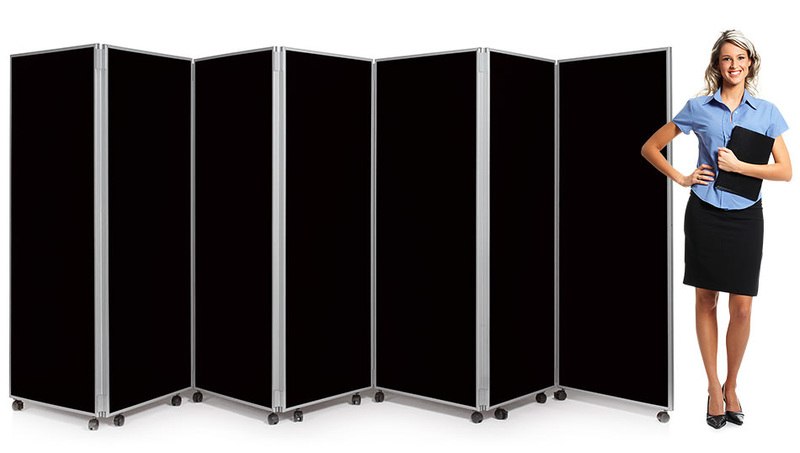 This 7 panel screen is ideal to use as a room divider in schools, nurseries and pre-schools. It is a mobile classroom partition so can be moved around a school to be used where and when needed. 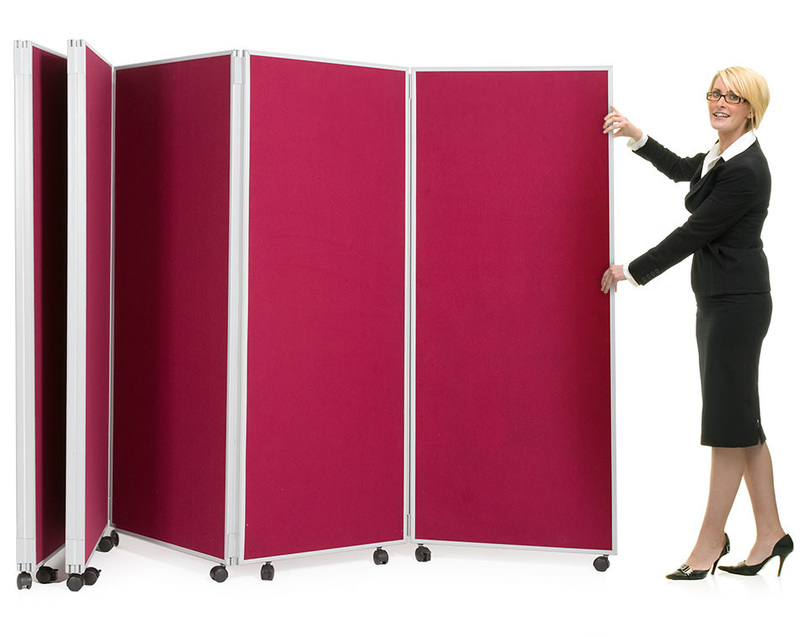 Available in two heights – 1500mm and 1800mm – it comes with 7 hinged panels which have either a black or grey PVC frame. 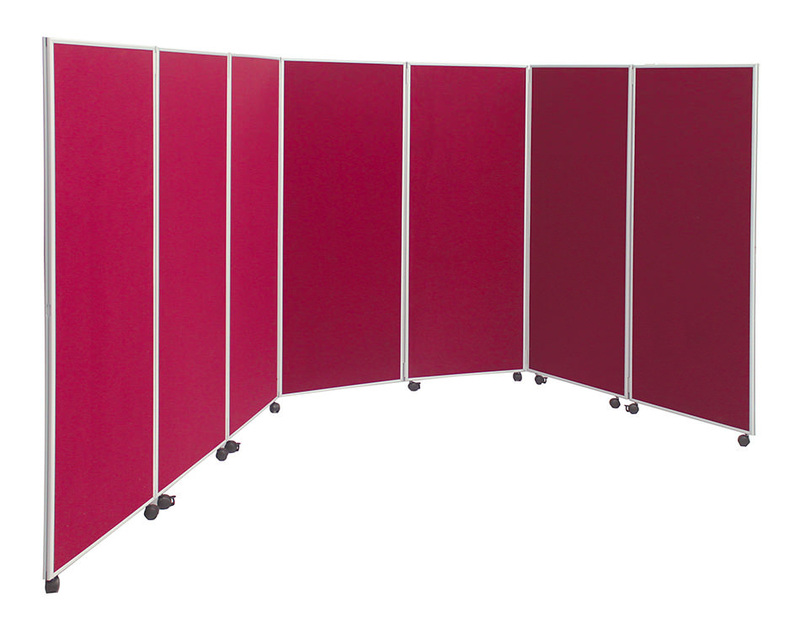 Each panel is 600m wide and 25mm thick and covered on both sides with luxury loop nylon. 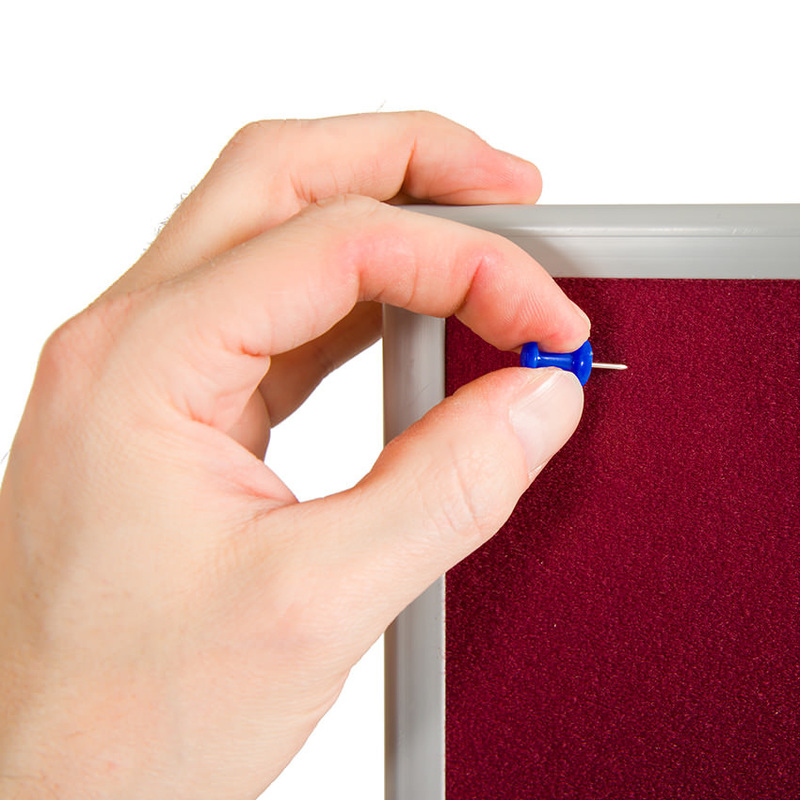 The fabric is pin and Velcro-friendly so this partition screen can double up as a large school display board. Fabric is available in 13 vibrant colours so you are bound to find one that suits your school colours. Please Note: For stability we recommend that you use this screen in a concertina/zig zag formation. It should not be used in a straight line. View our full range of screens. For more information please Contact Us or call on 01733 511121. 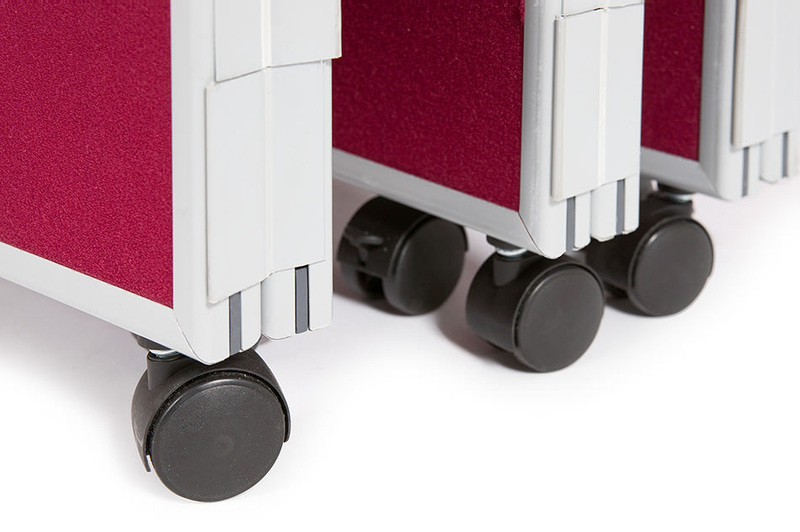 Manufactured to order and dispatched in 3-5 working days.